Have you been managing your wealth the Islamic Way? How well do you know about Shariah compliant Investments? Are you prepared with your Wasiat & understand Islamic Estate Planning? We want to introduce & increase awareness to the current best practice on Shariah Compliant products, services and views for the community. We will highlight the importance of finding a shariah solution through the reviewing and converting from non-shariah plans to shariah/temporarily permissible plans in the market. This workshop leans towards applied-based learning, where participants are given more opportunity to learn in-depth about managing their wealth the Islamic way, and possibly immediately apply on that very day itself. 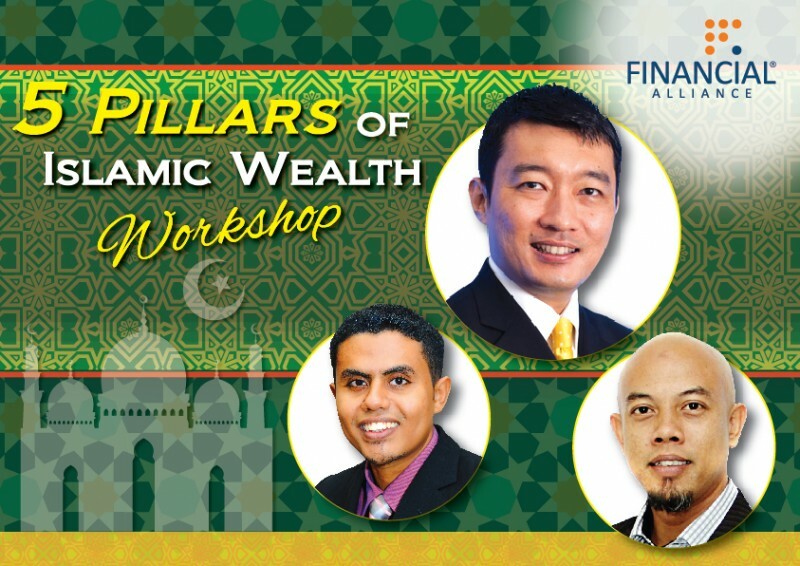 Venue: 5 pillars of Islamic Wealth Workshop on 23rd December 2017 at Former Spring Singapore, No 2, Bukit Merah Central, Level 10. Key Principles in Islamic Financial Planning – Gauge your financial stability and investment in a practical manner ... covering 2 Pillars; Wealth Enhancement & Wealth Protection. We are looking forward to see you on 23rd December 2017!